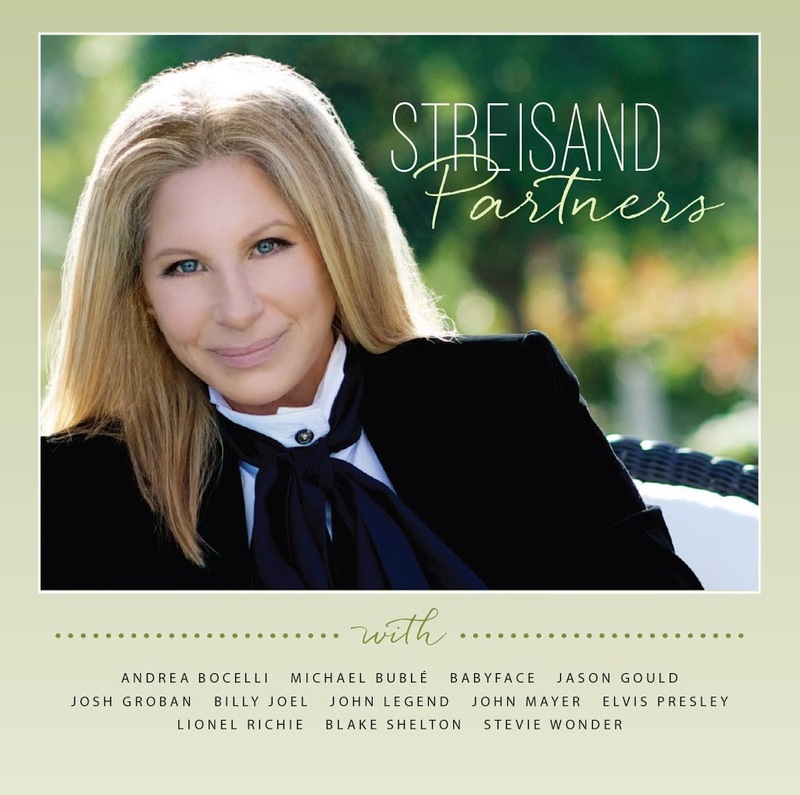 • Chart legend Barbra Streisand will release her new duets album ‘Partners’ in the middle of next month. It’s the singer’s first duets album in more than a decade and features performances with Michael Bublé, four ‘J’ performers (John Mayer, Jason Gould, John Legend and Josh Groban) and three ‘B’ artists (Babyface, Billy Joel and Blake Shelton). The standard edition features 12 tracks, while a deluxe edition features a further five. It’s out on September 19. • Pentatonix will release their third EP on September 26. It’s called ‘PTX Vol.3’ (you don’t say!) and follows on from the group’s previous releases earlier in the year. They’ve also revealed plans to release a festive season set later in the year. That’s called ‘That’s Christmas To Me’ and it’s set to contain a range of classic holiday tracks, along with “modern favourites and a one-of-a-kind holiday mash-up”. It’s due at retailers on Friday October 24. • California duo She & Him are another outfit who’s announced the upcoming release of new music. In their case, it’s a new album called ‘Classics’, due in the Spring on which the duo (Zooey Deschanel and M.Ward) tackle a range of “timeless classics”. No word yet on a specific release date, but we’ll keep you posted in our weekly New Release Schedule. • Well hello there, Auntie Meredith! It’s been a while. Cup of tea? 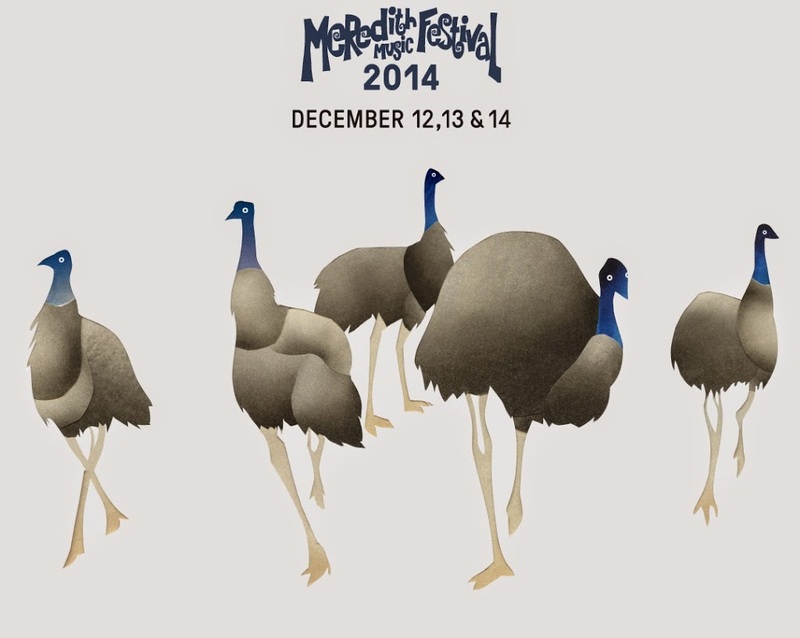 Yep, the music festival affectionately known simply as ‘Meredith’ is back in 2014 for three more days of spectacular musical entertainment. The line-up for the December 12, 13 and 14 event was revealed on Thursday, with some of the big names including De La Soul, The War On Drugs, Cloud Nothings, Augie March, The Lemonheads, Mia Dyson, Tiny Ruins and more. The ticket ballot is open ’til 9:24pm (yes, really) on Tuesday. • As part of his upcoming ’30/30′ tour, Jimmy Barnes is set to play two very special shows in Sydney and Melbourne. He’ll be playing his iconic albums ‘For The Working Class Man’ and ‘Freight Train Heart’ in full at both shows – Sydney’s Enmore Theatre on October 17 and Melbourne’s Palais Theatre on October 18. Tickets for both are on sale on Monday August 25 from 9am. • Jimmy Eat World will return to Australia late this year for live shows to celebrate the tenth anniversary of the release of their album ‘Futures’. Dates are locked in for Sydney, Melbourne, Brisbane, Perth, Adelaide and Hobart, with concerts on sale from 10am local time on Friday August 22. • Canadian outfit Magic! are still on top of the Billboard Hot 100 singles chart in the States this week, holding the No.1 position for a fifth consecutive week. Sam Smith remains at No.2 with ‘Stay With Me’, Iggy Azalea is still at No.3 with ‘Fancy’. But when it comes to the US charts, Meghan Trainor is hoping that it’s ‘All About That Bass’, with her breakout smash rising four more positions to No.4 this week. Britain’s Charli XCX hits the top ten with ‘Boom Clap’, giving her two appearances in the top ten (alongside Iggy’s ‘Fancy’). • The ‘Guardians Of The Galaxy : Awesome Mix’, which features tracks by David Bowie, 10CC and the Jackson 5, rises from No.3 on debut to No.1 this week, displacing Tom Petty & The Heartbreakers’ ‘Hypnotic Eye’ after just one week. The latest edition of the ‘NOW’ series (No.51) is in at No.2, with debuts from Godsmack and Spoon following. Our own 5 Seconds Of Summer are still holding in the top five – at No.5. The Vamps’ ‘Somebody To You’ EP rounds out the top ten debuts, coming in at No.10. • Here at home, meanwhile, all eyes will be on the ARIA charts when the drop at 7pm on the East Coast. With performances on ‘The X Factor’ over the past week and top ten placings on iTunes, where will Guy Sebastian and Dami Im debut with their respective new singles? Best you pop back to the site you’re currently on from 7 o’clock, when we’ll wrap it up all and potentially pop a ribbon on it (cheaper than a ring, you see) in our weekly Chart Watch. What the HELL happened to Streisand’s face?